Discrimination and retaliation can impact lower-rung employees as well as high-paid executives. A recent case demonstrates that even employees at the upper end of the pay scale can suffer because of discrimination in the workplace. According to Reuters, a former partner filed a discrimination and retaliation lawsuit against a Silicon Valley venture firm. The case is unique because the partner waited five years before filing her claim. In June of 2007, the partner informed the firm she would resign due to job dissatisfaction. Court records indicate that the resignation came seven months after she ended an affair with another partner. According to the complaint, the plaintiff suffered from discrimination and retaliation from the partner after she called off the relationship. The venture firm has denied the allegations of discrimination and retaliation and challenges the assertion that it did not take proper steps to prevent or put an end to the misconduct. The case has sent shock waves through Silicon Valley, where the venture firm has a high profile. The case has also raised questions about the ongoing employment issues, including harassment and discrimination, in the technology industry. The plaintiff is currently the chief executive officer of the news site “Reddit.” The venture capital firm has sought employment records from her current employer, an effort that has been quashed by the plaintiff’s attorneys. The defendant-firm provided additional details in response to the complaint, alleging the plaintiff withdrew her 2007 resignation after another partner persuaded her to stay. According to court documents, the plaintiff disclosed the affair, but urged the other partners not to punish either party. By the end of the year, retaliation by her former lover prompted an internal complaint. According to the former partner, the retaliation grew worse over the years eventually resulting in resignation. 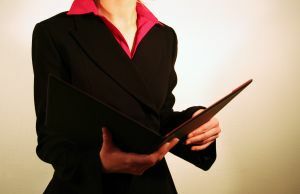 In the event of many employment lawsuits, employers will seek to point to evidence to discredit the employee. In this case, the firm is claiming that the plaintiff was “underperforming.” The plaintiff asserted in the complaint that she had planned to leave the firm in 2011 as a result of the worsening retaliation, but the job fell through. A written compliant was submitted in 2012, but the firm claims there were no other complaints filed. According to the plaintiff, she suffered from worsening sexual harassment, discrimination, and abuse for the three years after she disclosed the affair. The plaintiff in this case could be entitled to significant compensation if she is successful in her claims. According to Reuters, the case will go to trial in California State Superior Court in San Francisco in February. Cases involving sexual harassment, discrimination and retaliation can be complicated. If you or someone you love has suffered workplace discrimination, it is important to consult with an experienced and trusted employment law attorney. Our Orange County sexual harassment attorneys offer strategic counsel and advocacy in support of employees throughout Southern California. We can help you protect your rights, recover compensation, and help put an end to sexual harassment in the workplace.